from "Books & Authors," New York Times, December 25, 1938. 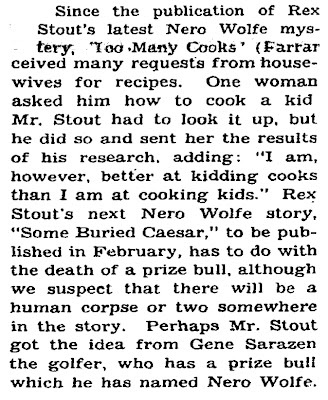 "Since the publication of Rex Stout's latest Nero Wolfe mystery, 'Too Many Cooks' (Farrar & Rinehart), the author has received many requests from housewives for recipes. One woman asked him how to cook a kid. 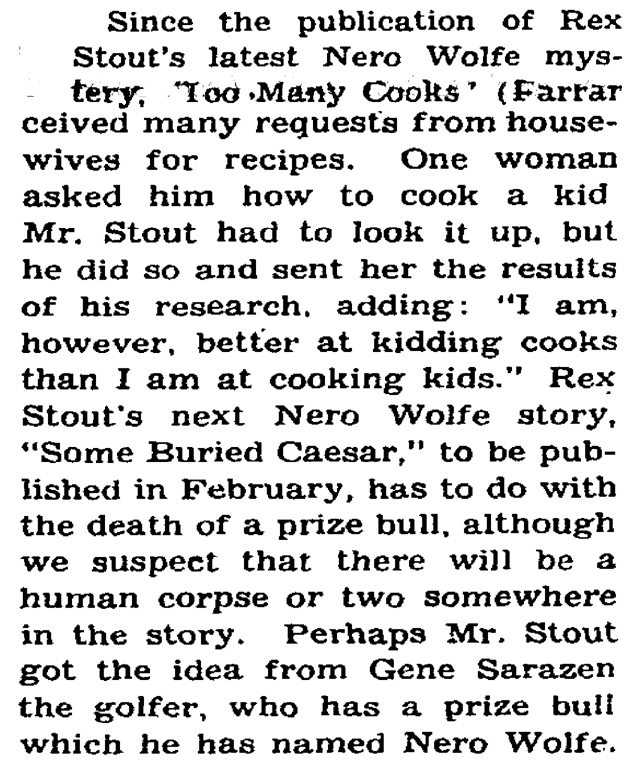 Mr. Stout had to look it up, but he did so and sent her the results of his research adding: 'I am, however, better at kidding cooks than I am at cooking kids.'"